Today I’m grateful that our library is once again fully staffed. One of our assistants finished his degree last spring, and took a position as the Teen Librarian at Loussac. Of course I was thrilled for him, but supervising our enormous space solo and covering the bell schedules for both schools has made for some long days. Our newest team member started today, and she seems great! 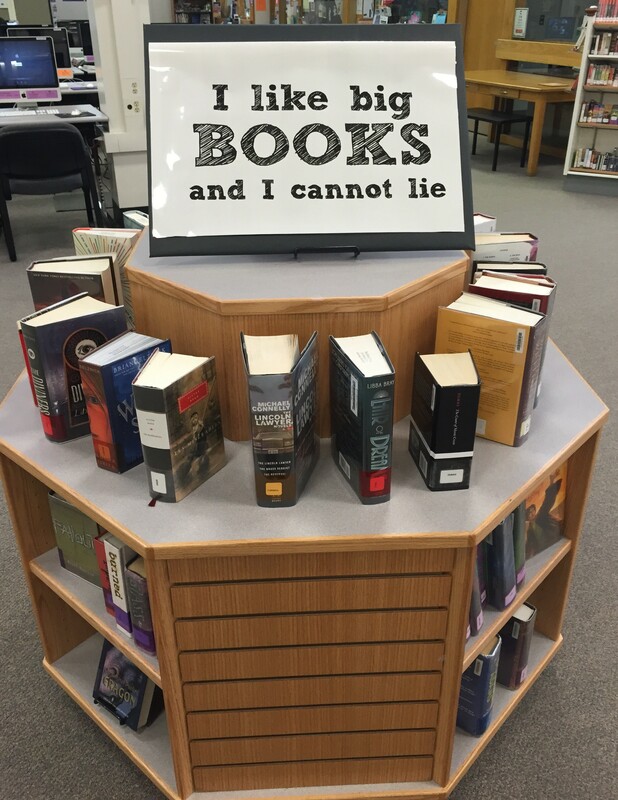 And speaking of the library… I am having fun with the newest display. It’s not quite finished (next up: the lyrics!) but it’s already inspiring some interesting dance moves. Let’s hope it inspires kids to read as well!